We often tend to ignore people and books that we have strong disagreement with. And yet, often times it is precisely those interactions that are very productive in helping us re-evaluate our own positions and see things from a fresh perspective. I find that, more often than not, confronting rather than ignoring a good argument, is not only a more honest approach but can also be quite rewarding in a variety of ways. And my interview with Prof. Richard Jones is a perfect example of that. So, while I may disagree with him on his general verdict on transhumanism, I found an impressive amount of specific things we agree on. And, more importantly, I managed to learn a thing or two about nanotechnology and the human brain. As always you can listen to or download the audio file above or scroll down and watch the video interview in full. To show your support you can write a review on iTunes or make a donation. Richard Jones is Professor of Physics and Pro-Vice-Chancellor for Research and Innovation at the University of Sheffield. His first degree and PhD in Physics both come from Cambridge University, and following postdoctoral work at Cornell University, U.S.A., he was a lecturer at the University of Cambridge’s Cavendish Laboratory. In 1998 he moved to the University of Sheffield. He is an experimental physicist who specialises in elucidating the nanoscale structure and properties of polymers and biological macromolecules at interfaces. He is the author of more than 190 research papers, and three books, including Soft Machines: nanotechnology and life, published by Oxford University Press in 2004. He was the Senior Strategic Advisor for Nanotechnology for the UK’s Engineering and Physical Sciences Research Council from 2007 to 2009, and is currently a member of EPSRC Council. In 2006 he was elected a Fellow of the Royal Society, and in 2009 he won the Tabor Medal of the UK’s Institute of Physics for his contributions to nanoscience. His blog – at www.softmachines.org – has, since 2004, discussed topics related to nanotechnology in all its varieties, together with other issues in science and innovation policy. 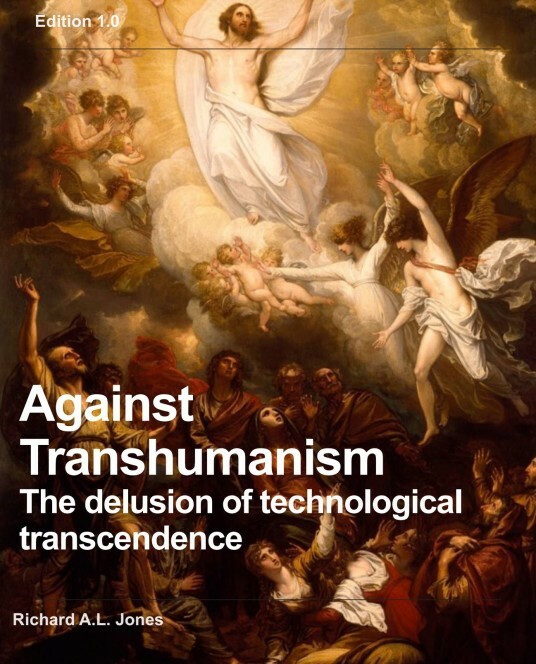 He has recently released the free e-book Against transhumanism: the delusion of technological transcendence.